i bought this for myself and my mother. 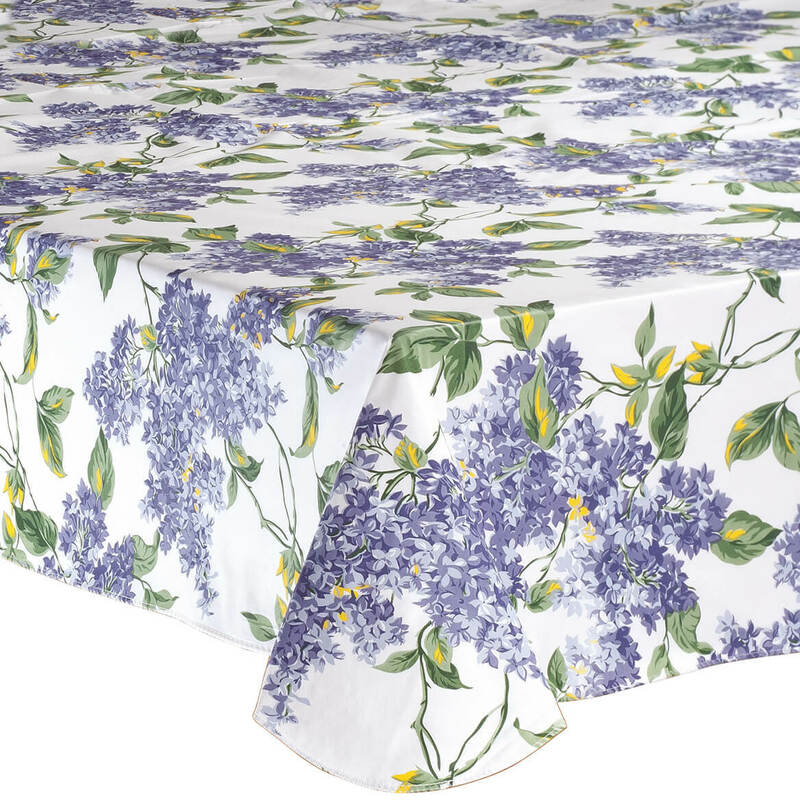 we both like lilac flowers and this tablecloth cheers the kitchen up. 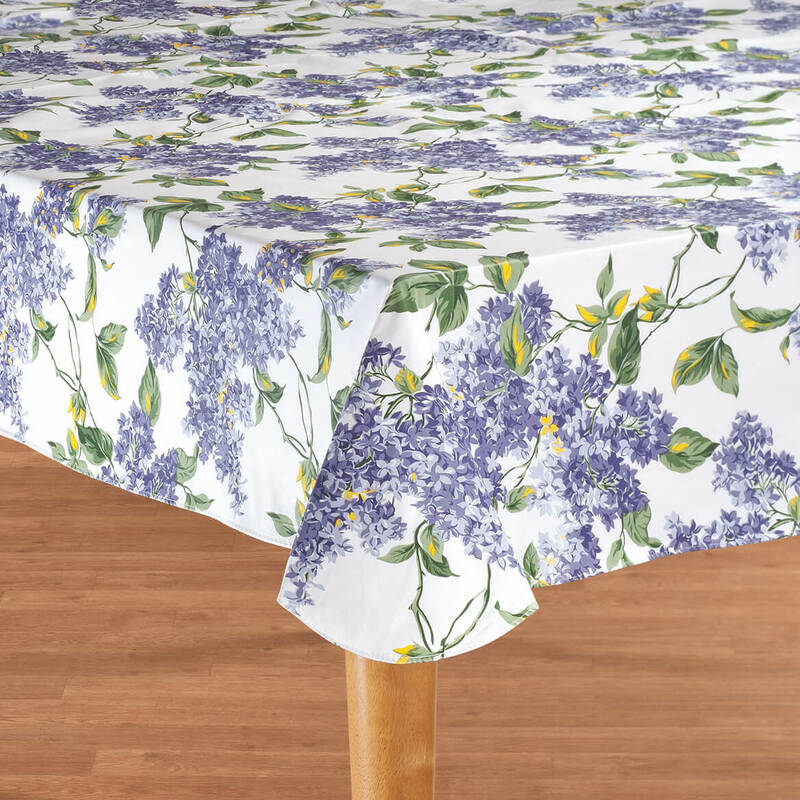 I purchased 2 of these table covers. When I opened them they had a very bad smell. I washed them and they still smelled terrible, so I had to throw them in the trash to get them out of the house. 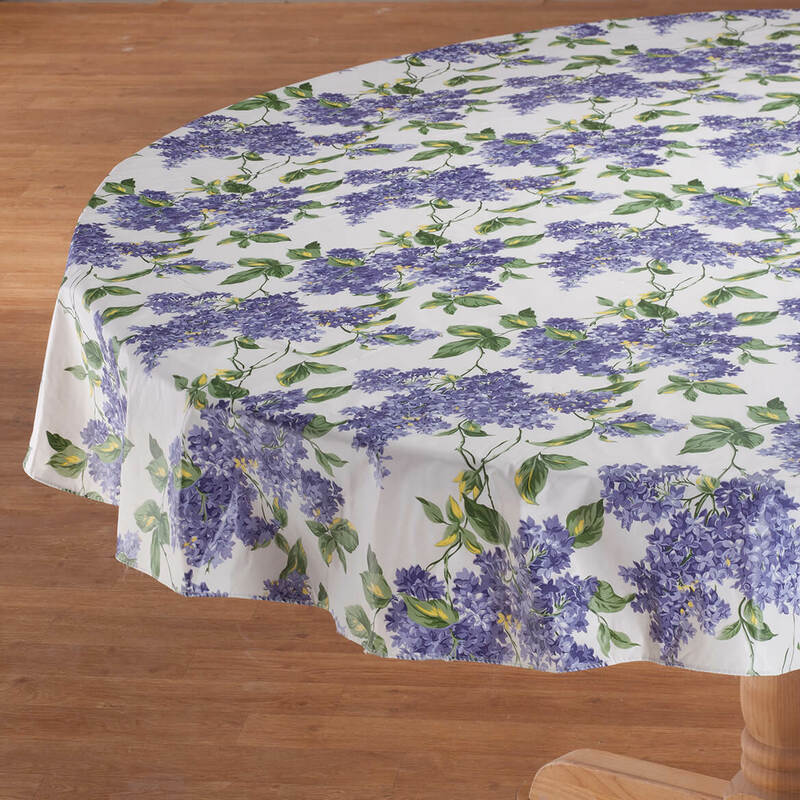 What to try under the lace vinyl table cloth this Easter. Looks like Spring. I need an easy care cloth on my table because of grandkids. Beautiful lilac design, it looks like a winner. I like the vinyl very easy to clean and I'm glad they offer the larger sizes the 60 x 104. In our family a vinyl table cover is best. It is difficult to find flannel backed vinyl locally as most are cloth. I have an 60/84 oval table. Would a oblong shape work for me? BEST ANSWER: I just wrote one answer but then thought about it a little more-- since your table is oval and not round, it might just work depending on the measurements-- your overhang might be a little different than the oblong shape table but if that doesn't bother you, then it might be ok-- that's a hard call---good luck! We have an oval table and I have been buying oblong for it. 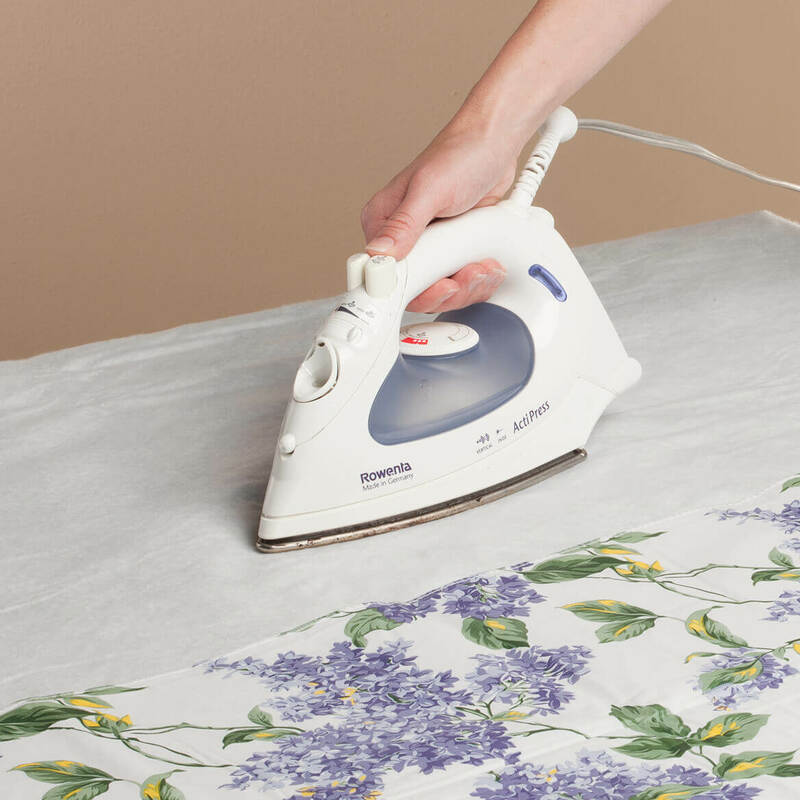 It will work on an oval table if you don't mind trimming it with a scissors to shape the ends of the table cover.